Advice on losing weight ranges from the bizarre to the dangerous as consumers are urged to follow one diet after another. But studies have shown that some diets don’t work and some, in fact, can be dangerous. Fad diets are risky and often fool people by claiming to be healthy. All diets can change your life and impact your health. That’s why you want to have an informed opinion on the weight loss plans that you want to try. You need to make sure that the diet is a healthy one and will help you lose weight safely. There are two diets that are making the news today because they’re both healthy, effective and have the ability to help you deal with certain health related issues such as high blood pressure and high cholesterol. These two diets are called the DASH Diet and the TLC Diet. Let’s take a look at both of these diets and you can choose the one that you think will work best for you. DASH officially means Dietary Approaches to Stop Hypertension. The DASH Diet is one that’s suggested by a department within the National Institutes of Health (NIH). This diet is recommended to not only help users lower their high blood pressure, but as a key to preventing it as well. But achieving and maintaining good heart health isn’t the only benefit. You’ll also lose weight. The diet has been well received because it can be tailored to each person rather than approached as a one eating plan fits all type of diet. Since your body is different from anyone else’s, you need a diet plan that’s customized for you. Those who choose to follow this diet begin by first looking up their gender and age group according to the diet’s guidelines. These age groups are broken down by ages 19 to 30, 31-50 and those who are 51 and older. Next, users would look up the status of their physical life. The guidelines here differ as to whether the user is very active, somewhat active or not active. By breaking the diet down according to gender, age and physical level, the diet helps ensure success. Once the gender, age and physical level is found, then the user would look up the amount of calories he needs for his health requirements. A man between the ages of 19-30 who isn’t active needs 2,400 calories while a man in the same age group that’s very active needs 3,000 calories. But a woman in the same age group with the same lifestyle would need 2,400 calories if she were very active. Once the person has figured out the level of calories she needs to consume for her body type, then it’s time to figure out the meals according to the DASH Eating Plan. This plan will lay out all of the nutritional foods your body should eat for optimal health. Because you’ll be eating nutritionally, you’ll get what your body needs and you won’t end up feeling as if it isn’t getting the right vitamins and minerals – like what happens with fad diets. On the DASH Eating Plan, you’ll get a list of foods that will guide you step-by-step in the direction of what you should eat. You’ll get a list of grains, vegetables, fruits, milk products, meats, nuts, fats and sweets. These food items are all listed by the number of servings that you should have each day for the amount of calories you can have. Included in the guidelines, the first week of how to eat according to the plan is already laid out for you and healthy, tasty recipes are also ready for you. You’ll learn how to increase or decrease calories and how to switch out foods between the various food groups. The guide will teach you about the importance of sodium and how it impacts a diet, why potassium is important and how to read the labels on foods to ensure that you’re getting the best choice. There are suggestions as to what kind of food from the group to eat as well as the important vitamins and minerals that the food groups provide for your body. The diet also offers guidelines that teach you how to make changes to your diet in small steps for long-term success. To help you get started on this diet and to ensure that you’re successful, you can also get a food tracker that you can copy, a physical activity log and a suggested day of meals to get you started. An overview of the DASH Diet found that it’s nutritionally safe and great for those with diabetes and high blood pressure to follow. It doesn’t have any food group restrictions, which is good news because having to give up entire food groups is the number one reason why people quit on a diet. The cost for this diet might be a bit more than one that restricts your eating, because eating healthy costs more than unhealthy eating (or not eating enough) does. 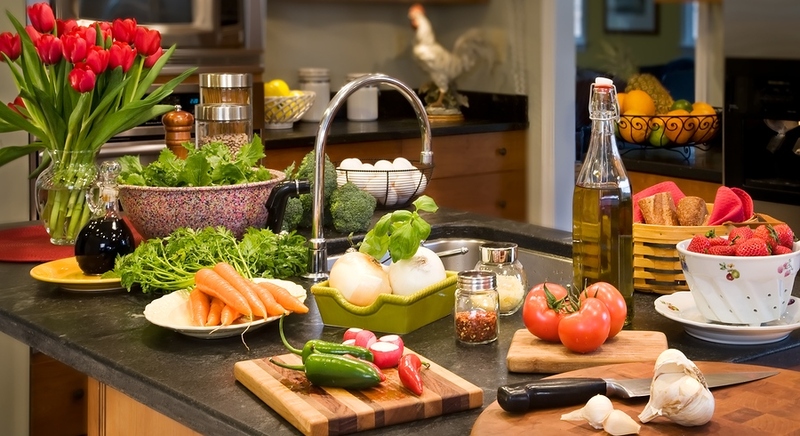 Why is the DASH Diet Successful? The DASH Diet is fairly easy to follow and that’s another reason for its success. There are no drinks or mixes to buy, no specialty foods and no nutritional supplements. You just use everyday foods that you can buy at the grocery store. For people who need to follow a gluten-free diet, the DASH diet will also work for them. To adapt the diet to their food intake needs, the user can select from an array of food choices that are suggested by the DASH Eating Plan. If you want to eat a vegetarian diet, then this plan can also work for you. The simplicity as well as the instructions of a diet plan are always good indicators for how well people will manage a new eating lifestyle. The DASH diet has good indicators for both short term as well as long-term success. The DASH diet also starts users out with motivational tips and advice to help them get over the hurdles that sabotage diets. The TLC Diet – or Therapeutic Lifestyle Change – is a diet that’s recommended by the National Institutes of Health. The main idea behind this diet is to change how much fat and what kind that you allow in your daily eating plan. One of the main changes you’ll make is by cutting down on your intake of foods with saturated fats. These fats are known to cause high cholesterol and can lead to heart problems. The American Heart Association supports the TLC diet as a diet that’s good for the heart. Following the TLC diet can bring your cholesterol levels down if you’re experiencing high cholesterol – and it may even keep you from having to take medications for your cholesterol. Because it’s a healthy eating plan and not a fad diet, the TLC diet can help anyone lower his or her cholesterol. In a world where fast food and convenience foods reign supreme, many children and teenagers are at risk for developing high cholesterol. By following this diet, you can help your entire family get on track to better heart health. The nutrition guidelines are geared toward people who aren’t active, so if you are active, you’ll have to configure the extra calories you’ll need yourself. The diet for the TLC is not written out in an as easy-to-follow format as the Dash Diet is. It’s a little tougher to follow and what is laid out for users is more convoluted. The diet plan with the TLC Diet lists the food group, the serving amounts and the size of the serving, but it doesn’t go into as much detail as the Dash Diet Eating Plan does so you’ll have to do some of the figuring yourself for that as well. Unlike the Dash Diet, the TLC Diet has more of a one size fits all category for men and another one for women. You’ll have to figure out what you need to eat in the various food groups by using a weight calculator that will figure out what range you should be eating in. For example, if you’re a man between the ages of 18-30 and you weigh 200 pounds, you would also have to include your height and weight to find your eating range. If that was your weight range and your height in feet and inches was 5″11, you would then have to input how much exercise you did. If you exercised very little to light, then your suggested calorie range would be 2,200 calories. One of the things that the TLC diet does is to break down what activity level you do. The diet will tell you where you fit. If you work at an office where you don’t get to sit behind a desk all day but you’re on the move, the diet considers that to be moderate exercise. So that means that you’ll have to cut way back on certain types of meats, cheeses and even nuts. Processed meats are high in saturated fats as are cheese danishes, some chicken salads, certain types of chowder and pizzas. The TLC diet measures the success of the users by the percentage of cholesterol that the user was able to have lowered while on the diet. If a couple of months have gone by and your cholesterol isn’t lowered by at least 8 percent, then you’ll have to start including other elements with the diet such as plant stanols. For people who want to concentrate their diet efforts on bringing down their cholesterol level, the TLC diet is extremely successful. The reason for this is because that’s what the diet was created to do. When people who use this diet end up with lowered cholesterol and don’t have to buy monthly medication to do that job, they’re very happy with that outcome. Any time you can use natural methods versus synthetic means to help your body get healthier, that’s a good thing. Though some people have found that the diet will allow them to shed a few pounds, that’s not the primary benefit of the diet and it’s not as easy to lose weight on this one. This removes the guesswork and keeps it simple for users – even from day one. The TLC diet is better for people who want help with their cholesterol. It’s not the better diet to choose if you want to lose weight, though. The diet plan is too open to interpretation, which leaves you more on your own with less guidance like the DASH diet gives you. You also don’t get the helpful week of menus that you can choose – and you don’t get the weight loss food guide and activity tracker. You also don’t get the motivational tips that you get with the DASH diet. To decide which diet is best for you is fairly simple. Just figure out what your goal is. If it’s to lose weight, choose the DASH diet and if it’s to lower your cholesterol, then pick the TLC diet.